Founded in 2013, e-Kwacha is a one-stop-shop for financial services, providing agency banking, mobile money and electronic payments services to promote total financial inclusion in Malawi. Founded in 2013, e-Kwacha is a one-stop-shop for financial services, providing agency banking, mobile money and electronic payments services to promote total financial inclusion in Malawi. Given that only 18% of the Malawian population has access to banking services, our major goal is to reach out to the unbanked community and increase access to efficient financial services. With our head offices in the commercial city of Blantyre, the company operates a well-trained network of financial service agents across the country, providing agency banking (NBS, FDH, OIBM), mobile money (TNM Mpamba, Airtel Money), Internet and mobile prepaid voucher resales and prepaid receivables. The company is owned by Aryan Holdings Limited and Maviance GmbH. Our Vision is to strive for unmatched excellence in financial services and business management services provision. Mr. Douglas Musumbu has 18 years of working experience in the Financial Markets Industry covering Treasury, Stockbroking, Asset Management, Financing, Unit Trusts, Projects and Property Management. He also has very good experience in start-ups as evidenced by the setting up of Trust Securities which was the second stock broking firm in Malawi. He is a Director and Shareholder of Several Companies within the Southern and Central African region in the following Industries: Construction, Telecommunications and ICT, Funeral Services and Assurance, Transportation, Hotel and Tourism. He is a holder of several qualifications in Electrical Engineering, Equity Markets, Bookkeeping and Accounting, Finance and Counselling. Douglas has great strengths in Marketing, Administration, Financial Advisory, Mobile money, Agency Banking and financial inclusion products and services, Project and Property Management. Douglas last served as Group Business Development and Marketing Executive for Trust Holdings Malawi attached to Trust Securities offices. 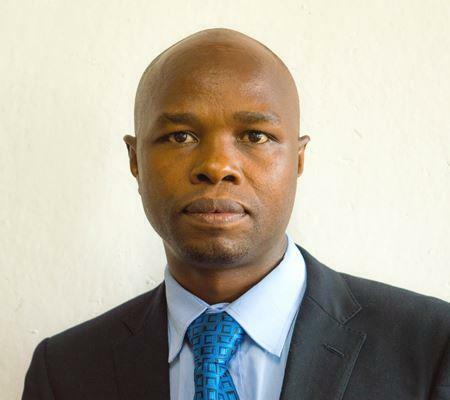 He is a member of The South African Institute of Financial Markets (S.A); member of Global Credit Solutions Pty - Australia for which he served as representative in Zimbabwe; Team Member Advisory for the Zimbabwe Indigenous Business Association (ZIBA); has consulted for Indigenous Business Association of Malawi (IBAM).